The talents of artist Lisa Joan from Isla Life Designs knows no bounds! She completed her Mama Bear live painting at the last Stag n Hare Market. All proceeds from that auction of the painting went to YANA . Big Bear hugs back to you, Lisa Joan! 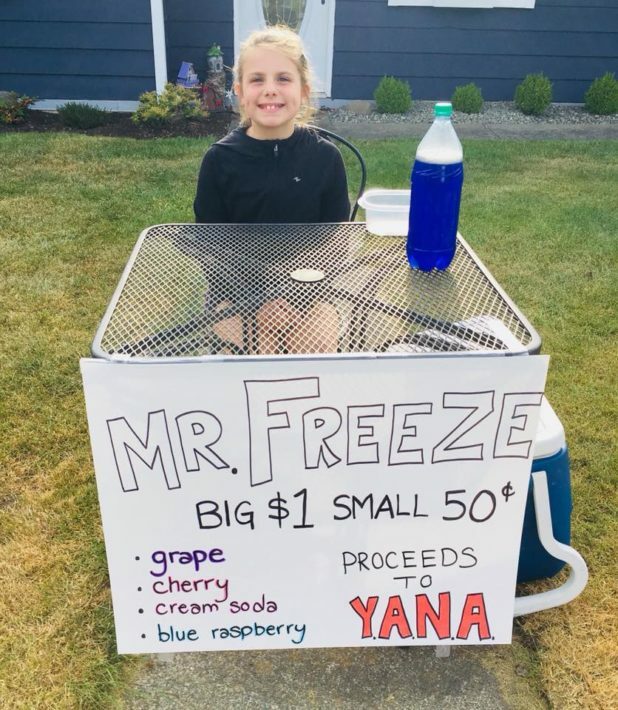 High fives to Madison for thinking of YANA with her tasty freezie fundraiser! We know she loves YANA and she knows kids love freezies. Great job! 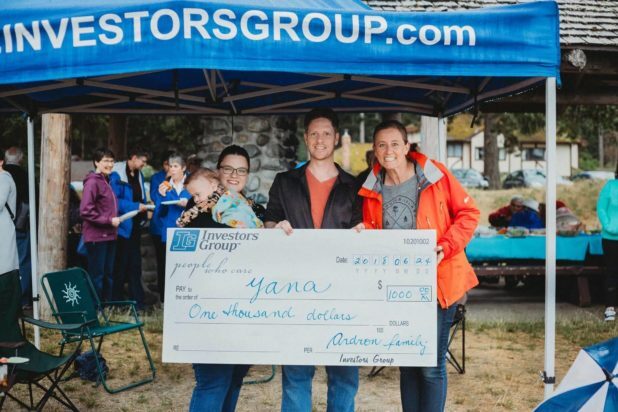 Sincere thanks for including YANA in Maverick’s 1st birthday party and for marking this very special occasion with a generous donation through the Matching Gift Program at Investors Group. Way to go Arbutus RV & Marine Sales! There was a full team behind their YANA fundraising. 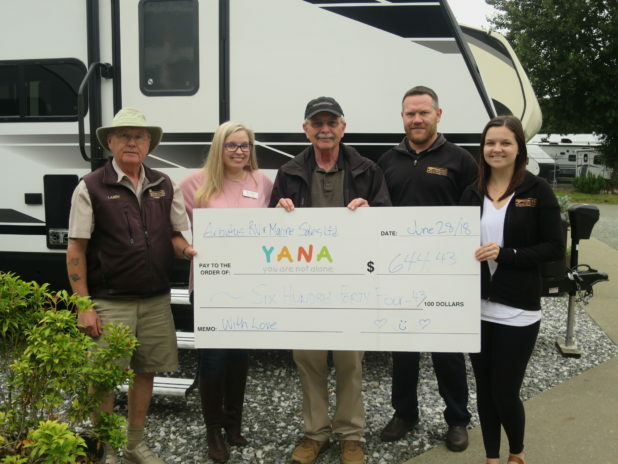 It was the collective effort of the owner and staff, Keystone RV, and customer donations that made such a difference. Kudos to all of you! A shout-out to Jillian! It’s so cool seeing kids helping kids. 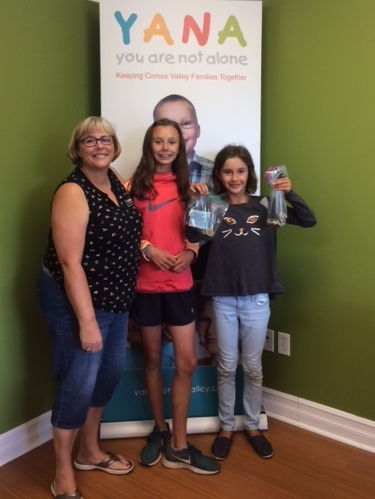 Jillian is a student from Ecole Puntledge who organized a bake sale for YANA and brought in birthday money, too! 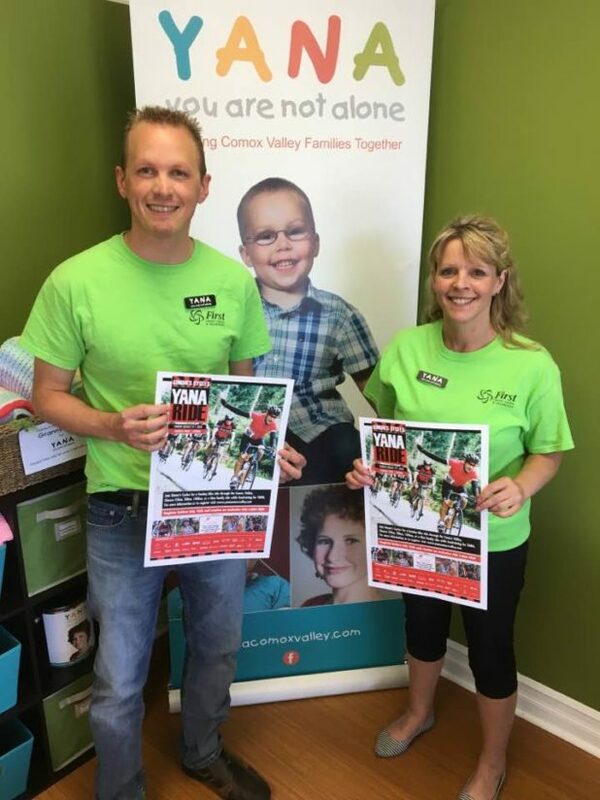 We love our Community Impact volunteers from First Credit Union & Insurance ! Karen B and Paul hit the town for us with Simon’s Cycles YANA Ride posters and Karen M and Tracy helped with some important archiving work. 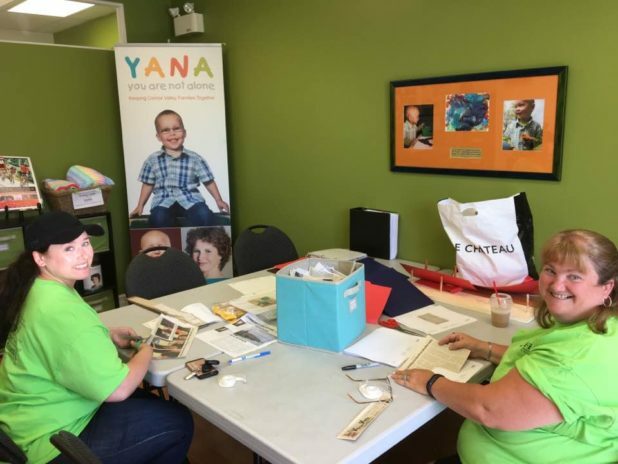 Such a great initiative that YANA benefits from! A strong showing of YANA love was found at GP Vanier. We appreciate that you got the school mindful of all we do and fundraised for us in a big way. You rock! Our gratitude to Mrs. Daneliuk’s Grade 6 & 7 class from Valley View Elementary School. 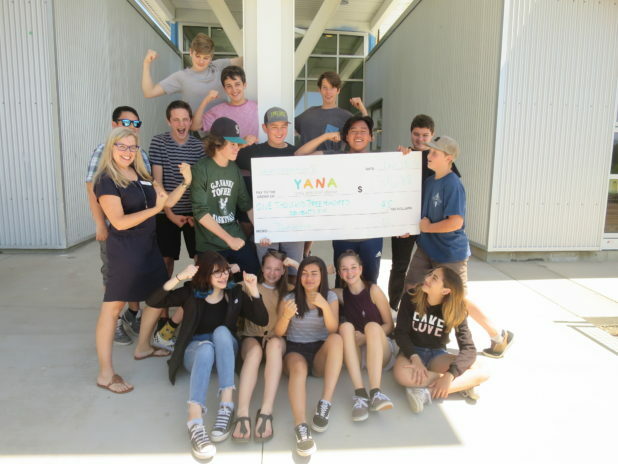 These creative students donated the charitable portion of their entrepreneur fair proceeds to YANA and we’re so pleased. Kudos to Comox Legion Branch 160 for the many years of contributions to YANA. We are also grateful for the outreach opportunity you offered us at your recent Information Fair. 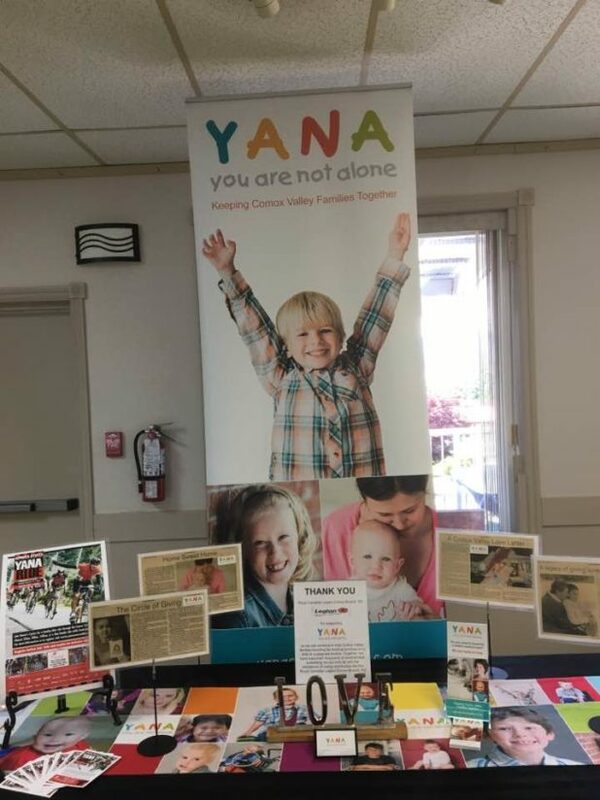 Thank you to Royston Elementary School who hosted a very successful art show and auction with proceeds to YANA!